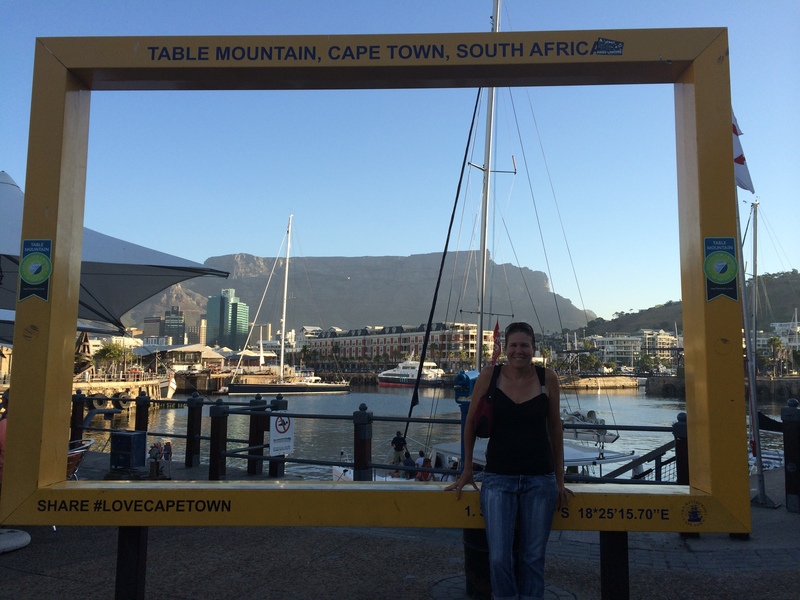 South Africa – My Happy Pace! This week I am proud of….. This week I am really battling to think of something I am proud of…. I know there are some things I probably should be proud of, but mostly I am pretty disappointed in myself. I let a ball drop and now it feels like the whole lot are about to come crashing down. I know I will probably look back in just over a month and realise it is not nearly as bad as I think (I HOPE), but at the moment it seem pretty terrible and getting worse. But, it does not affect my family, health or anything that is really important to me so I will just have to deal with the problems as they arise. So, what am I proud of??? This week I am very proud of my daughter. 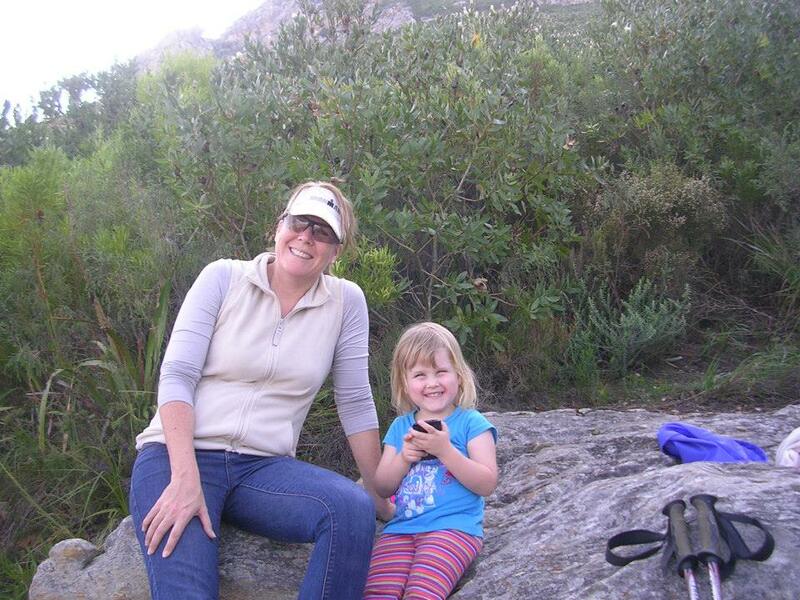 I was away all of last week in Cape Town for the Cape Cycle Tour Lifestyle Expo and she stayed behind with Andrew, our nanny and my mom. She coped remarkably well, even though she was sick. I felt terrible about leaving her, but could not do anything about it. I am proud that she is such an independent soul. 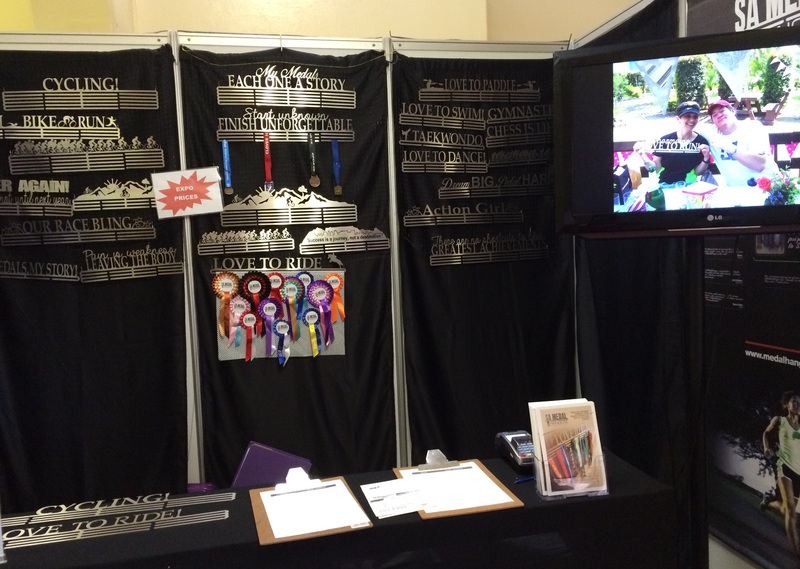 I am also proud that even though I was having a major pity party last week Wednesday, when my stand at the expo came crashing around me about 30 seconds after I had finished putting it up, I managed to give myself a stern talking to and pull myself together, rebuild the stand and have a great expo. At that stage I really just felt like coming home. What were you most proud of last week? I trained a tiny bit more this time with a couple of runs around the 30km mark, but I also realised that before my last one I did everything wrong so this time I made sure my race prep was better. I ate properly the entire week leading up to it and especially the day before. For me this means staying off the grains, eating more fats and making sure I get loads of green veggies in. I also made sure that I was off my feet for most of Friday. My other plans was to implement a run/walk strategy right from the start. They had a water point every 3 km and I planned to walk every single one of them, right from the third kilometer, whether I felt I need to or not. I also planned on walking the two hills. My plan in the December marathon was the total opposite. 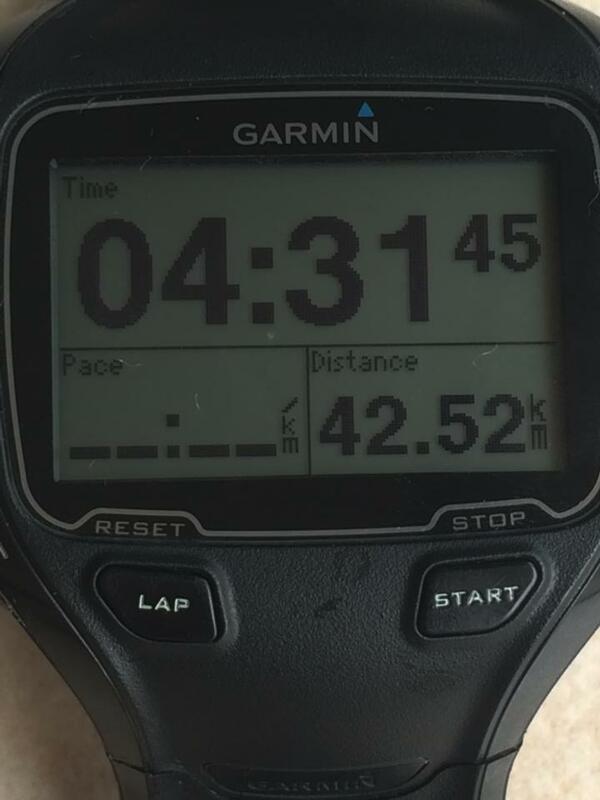 I planned on running until 21km and then seeing what happened. So, how did it go? ABSOLUTELY FANTASTIC! I could not have asked for a better marathon. Not only did I get a personal best of over 21 minutes, I got a better seeding for Comrades (so now my sister and I are in the same batch) and better that all of that I loved every minute of it. There was not a minute in the race where I felt like it was too far or I was aching. There were a few points where I was counting down till the next water point so I could walk, but they seemed to come pretty quickly. Right from the start I walked every water point. It was so tempting to run the first few, especially the 3km one as I felt fine but I stuck to my plan. The first time I walked not at a water point was on the first hill and that was in the last 10 km. I had planned on walking that anyway. I think my last 5 kilometers were about the quickest of the entire race. I cannot believe the difference from the marathon 2 months ago! It just shows what a difference a clear plan and good race prep can do. I now feel so much more confident for the rest of my goals for this year. 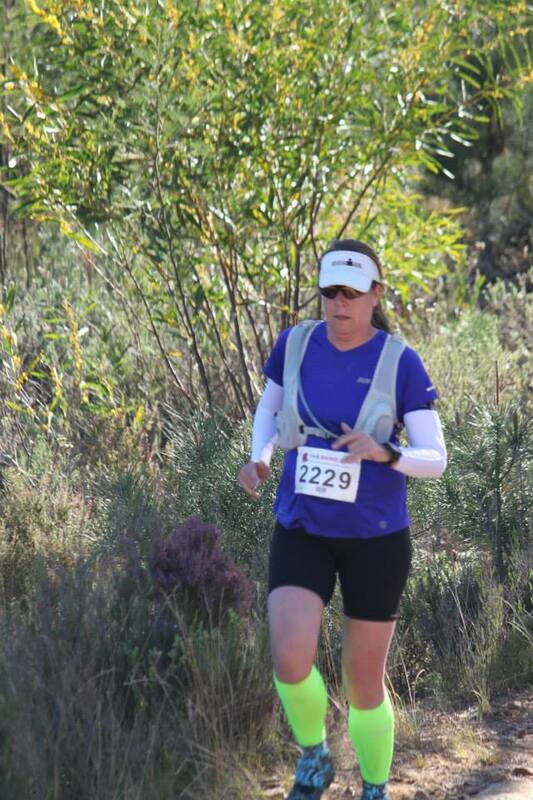 My next major one is at the end of the month – the Addo Elephant Trail Run 44km. 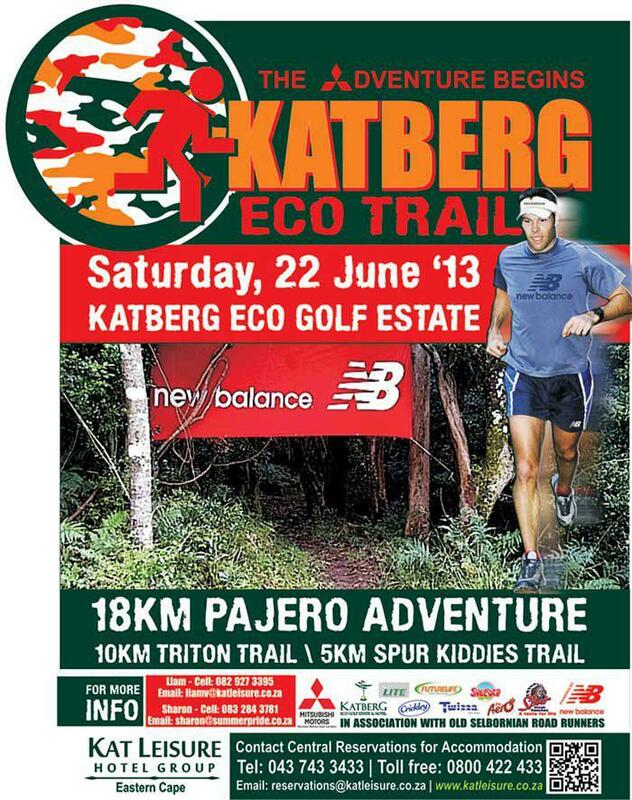 At least with this, it’s a trail run so I will be taking my camera and appreciating the amazing scenery of the Eastern Cape. So, its been exactly a month since my last day of official employment and BOY OH BOY what a month. I have never been this busy or this excited or this stressed. And I have loved it! It started with me trying to get ready, not only for the Dryland Traverse but also the Momentum 94.7 Cycle Challenge Expo. The timing was not good as there was no cell phone reception at the De Hoek camp site where the Dryland was based, but thankfully they had set up Wi-Fi, if a bit temperamental at times. I was going to be away for 4 days and then back for only 1 day before leaving for Johannesburg, so I needed to get everything done before I left for the run. I was also worried about driving from Port Elizabeth to Johannesburg by myself and then concerned about actually driving in Johannesburg. Both of which were fine. It took me about 80km to remember that I LOVE driving on my own. I turned the music up to the max and had a blast. I did get a few odd looks at some of the stop and go’s with my music rocking the Kombi. Not sure if it was the volume or my dodgy taste in music though….. Thanks to Firefly for the recommendation on a accommodation as it was less than a kilometre from the Coca Cola dome and very easy to find when coming in from the N1. No problems there. Then the expo – I was not sure how it would go. It was totally foreign territory to me. I did not know how much stock to take, if people would buy or just want info. I just hoped I sold some….. which I did. Not as much as I would have liked but the interest was high and as custom orders are our biggest seller most people wanted info to order later. Which thankfully a lot have done. That has totally exceeded my expectation. In fact I am bouncing around on Cloud 9 at the moment. I know a lot of the medal hangers ordered are for Christmas presents so January will be really quiet, but considering I have only just started I am ecstatic. 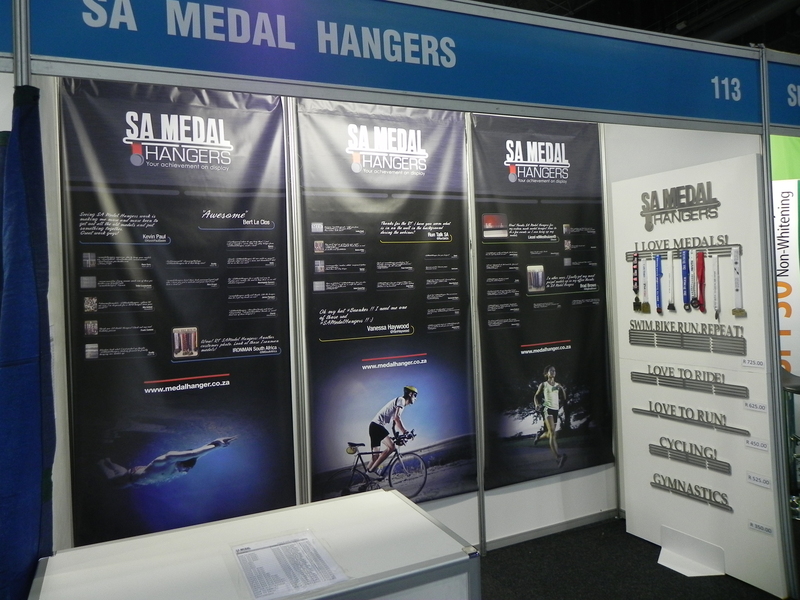 Here is a photo of the SA Medal Hangers stand at the expo. What do you think? As it was our first expo, I learnt a lot of stuff. I will do the stand slightly differently next time, I will take less stock but have more staff and hopefully I will be a lot less stressed…….. Our next major expo is at the Cape Argus Cycle Tour in Cape Town in March and I can’t wait. So, what can I say! This has been one heck of a year. My work goal for the year was by the end of 2013 to go half day in formal employment and to try and to have found something else on the side, which hopefully by the end of next year would be enough to take over. Being retrenched kind of kicked that goal out the window, but it was replaced by something so much bigger. My word for the year was DO and I think I have done just that. 2013 has one month left and I am excited for it and then even more excited for 2014! An achievement and a giveaway! I know I have said this before, but I have been blown away by the support I have been receiving for SA Medal Hangers – and I know it seems weird to say, but I am stupid proud of them. I have one up on my wall and I stare at it all the time. I am not sure which I am more proud off, the medals that hang from it or the actually hanger. I also know it is early days, I know I still have far to go and I know that having a full time job has been a huge cushion for me in starting this business, but I am really proud of myself for taking what could have been a blow and trying to make it a positive. Before starting this I did keep most of my medals, but they were hanging on a broken clothes hanger in the back bedroom cupboard. I would not look at them, but just add another medal as I got it. It was actually Mr OL’s suggestion that we display them but could not really think of a solution and then I found this idea. Now that the medals are up and I can see them I realise just how far I have come. I started running again in 2005 and did my first Ironman in 2007. 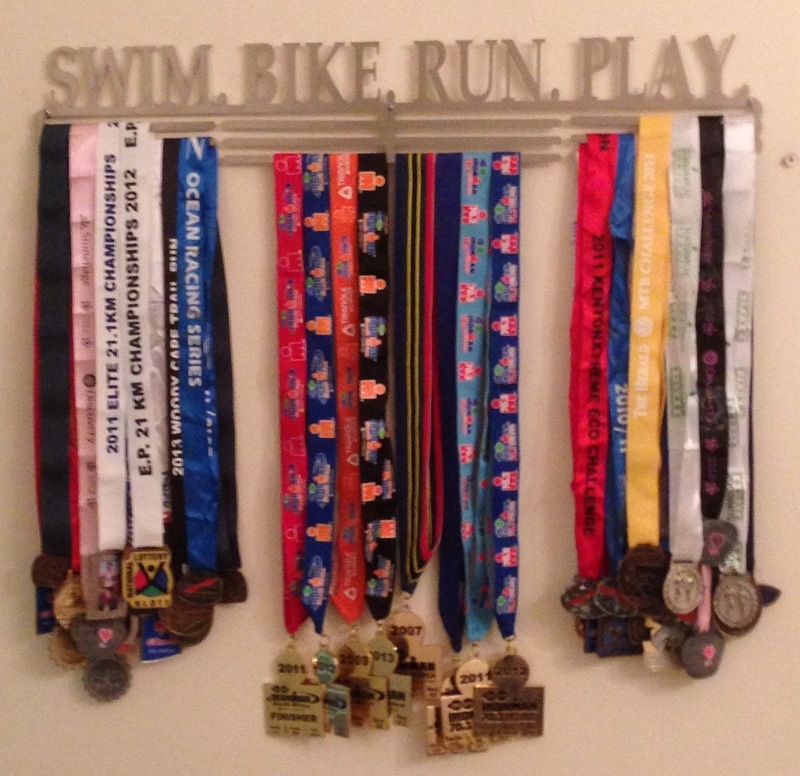 In the past 8 years running and triathlon have become a huge part of my life and I love it! I know that not everybody wants to display their medals, and a lot of people don’t even take them at races, but since putting them up on the wall I have started seeing them not just as the metal and ribbon, but as something more than that! As an achievement – and something I should be very proud off. 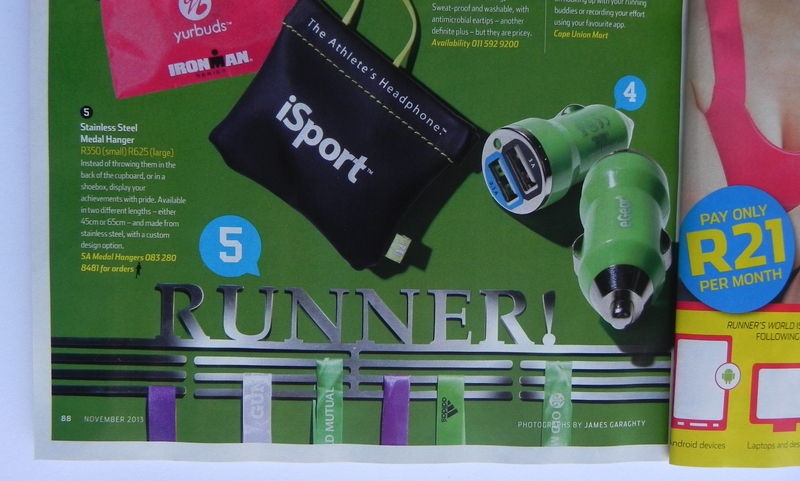 To give somebody else the opportunity to feel that sense of pride and achievement I have decided to run a giveaway on SA Medal Hangers’ Facebook page. The details are all there, so please go and have a look. 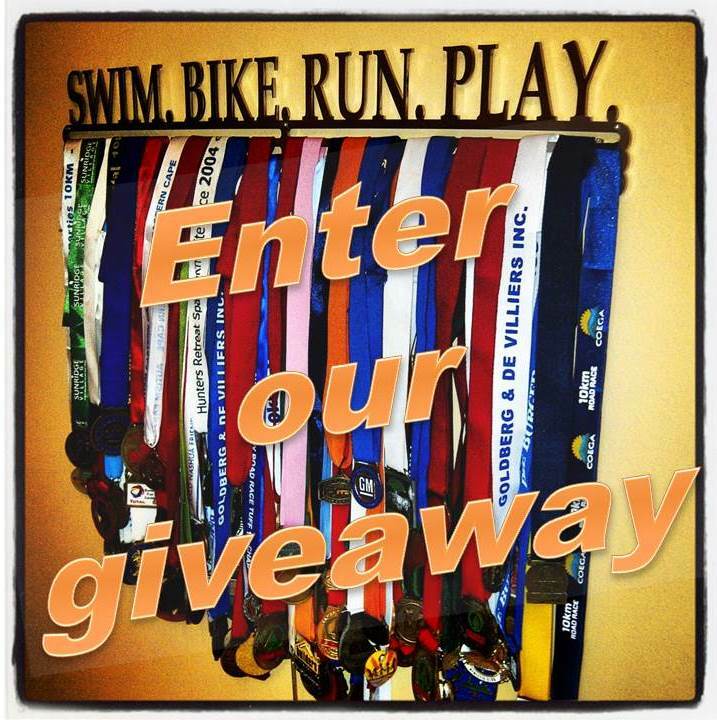 You could win a 65cm triple bar medal hanger of your choice! (Sorry – Open to South African Residents only). CLICK HERE for details. 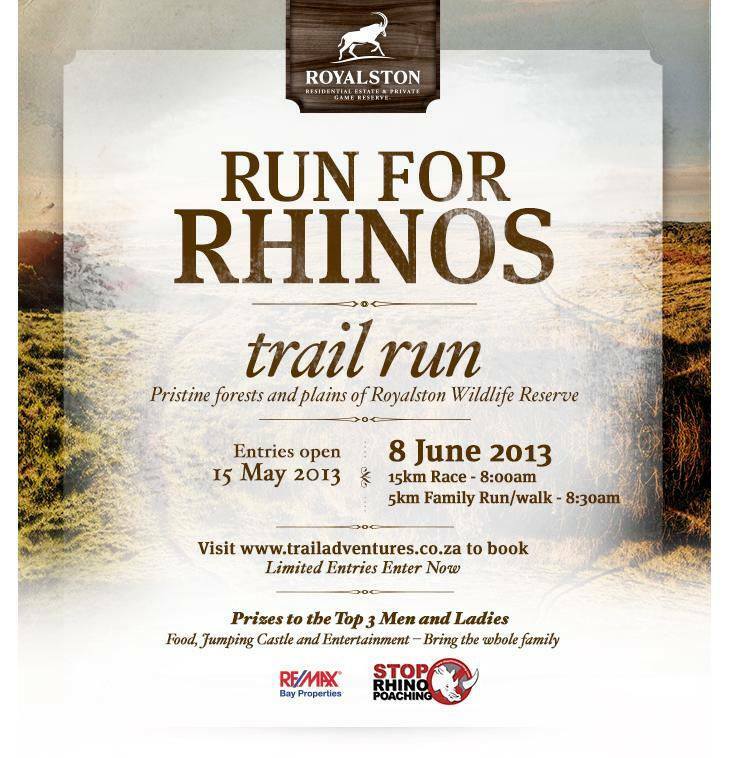 On Sunday there were various Rhino Runs held around the country and there were 2 to choose from in our area. 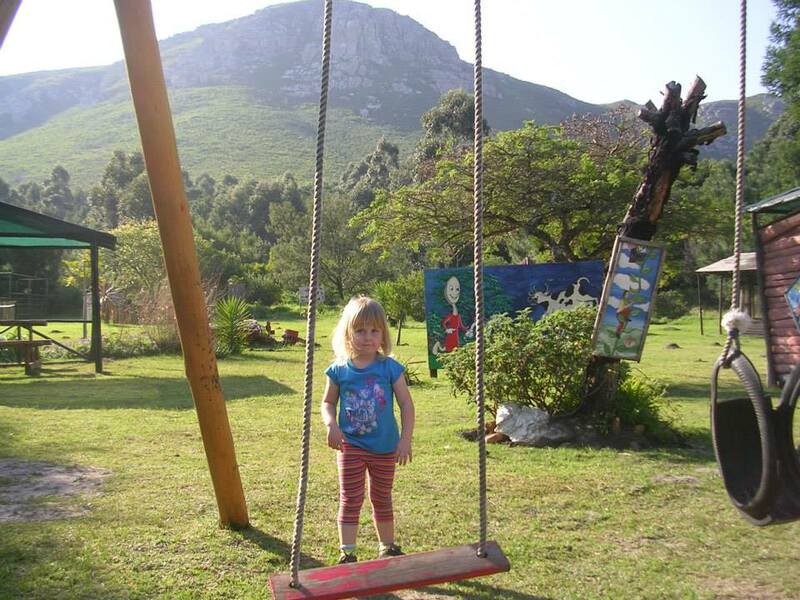 One at Kenton-on-Sea and the other at Crossways Village near Van Standens. I did that one. It was a lot closer to town, and I love that area. (Its an annual event – so next year why not find one in your area. As you know, I have not been running much lately, my furthest run as been 11km so I was not really sure what distance I should enter. There was a 6km, a 12 km and a 20km. As I have the Dryland coming up in November and I really need to get some distance in I chose the 20km. Yikes!!! But it was fine. Or at least it was fun up until my Garmin said I had already done 20km then my mind said I needed to stop. Those last 1.8km were tough!!! All in all though it was a stunning race – tough but stunning. You know you are not out for a walk in the park when at the race briefing they say “and then you run around and up the back, over the top then down the front of Lady’s Slipper Mountain to the finish”! When “hilly course” and “over the mountain” are mentioned in the same race briefing you know you are in for some fun!!! You see the “hill” behind me…. Yip, I had just run over it! 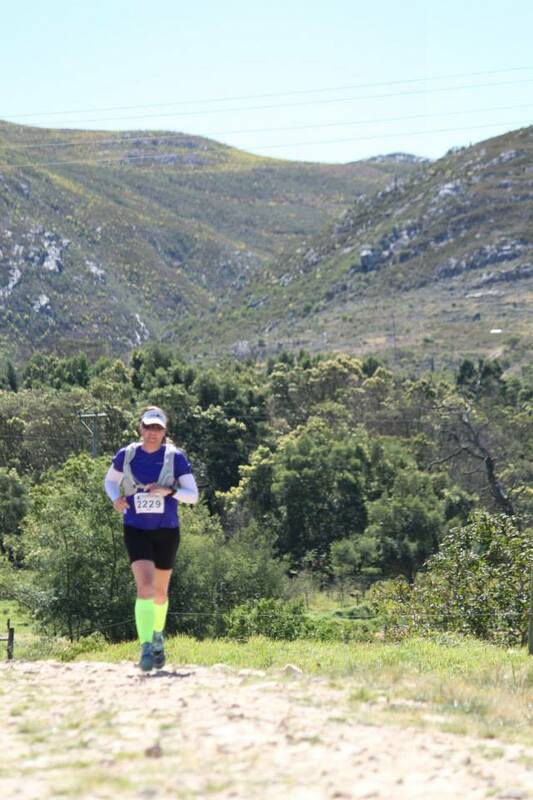 (this was also at the 20km and the legs fell off in about 5 steps from here……) EDIT: I think this might be the first photo of me EVER where both feet are off the ground at the same time and I actually look like I am doing something resembling running! I have started running regularly again and I am happy girl. This past weekend I did the Sunshine Coast Trail Run and it was awesome. I even managed to be sensible about the whole thing and restrict myself to the 8km option. There was a 20km but I figured that was pushing it a bit and one sure fire way to get injured again, so sanity prevailed. 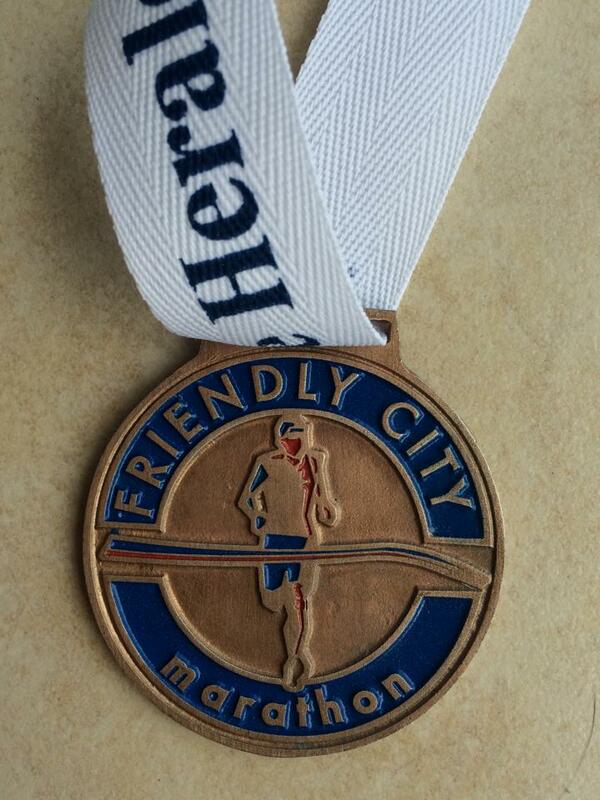 I did this race last year as well, and although I thought I was way fitter last year I found this year easier. Maybe I went slower. I think I walked pretty much the same amount. Then the Fairview Dryland is getting closer and closer! I am getting more and more excited and nervous! But I figure I will be walking most of those hills no matter how fit I am so I may as well look at it as a bit of hike and less of a run……. Next weekend it is also the Urban Run. That is my all-time favourite fun event. I LOVE it. I am so glad that I will be able to do it as I was getting rather nervous that my foot would be ok. Looks like it will be fine. OK, enough updates for now. While off I wanted to do some active stuff with Little OL – she is becoming a bit of a couch potato and I don’t like it. 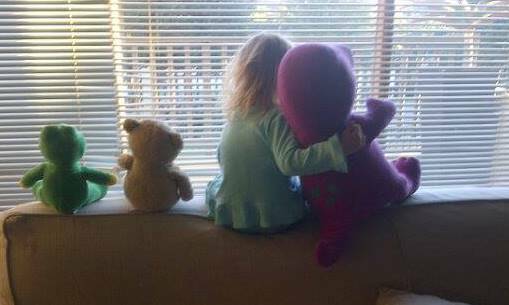 Unfortunately during the holidays the nanny has been putting her in front of the TV and that is pretty much where she stays – given the option though she would rather be doing something else, so I made sure we did “something else”. I roped my mom in and we went out. My mom is always up for a trip somewhere and on Thursday she suggested we go and climb Lady’s Slipper. 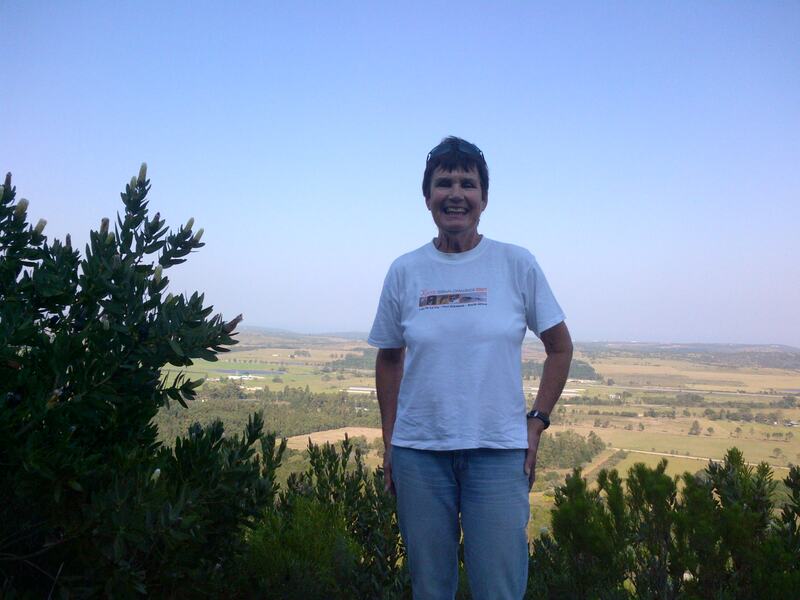 It is a hill just outside PE that my mom climbs regularly but I have never done before. I was definitely keen! It was awesome, we did not go all the way up, as I did not want to have to worry about Little OL and her safety, so as soon as it started getting a bit rocky and steep we stopped. Saying that we still got more than ½ way up. I loved it and Little OL is still bragging to anyone that will listen that she climbed a mountain. It was pretty cool having all 3 generations walking up the hill together and hopefully it was the first of many hikes that we will all do together. My mom and I used to hike quite a bit together before Little OL was born, and now that she is getting older hopefully I will be able to get back into it. 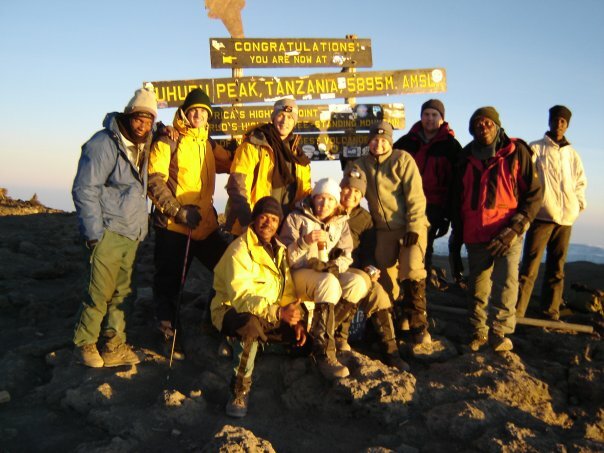 I think I have mentioned before that for my mom’s 60th Birthday my mom, sister and I climbed Kilimanjaro…… Let’s see what Little OL and I will do to celebrate my 60th…. (thank fully still quite a few years away. It felt really good to get my hiking boots on again! My weekend away was fantastic and exactly what I needed. 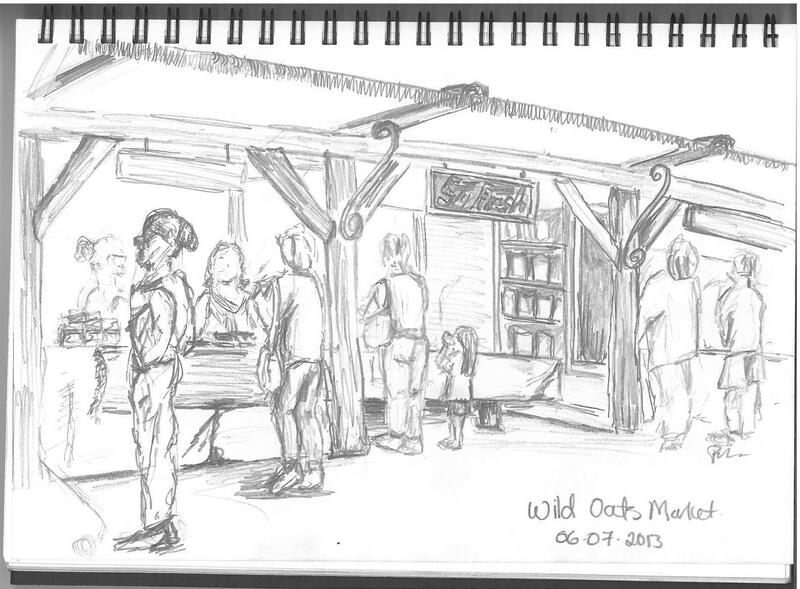 I went shopping at a farmers market (for food) If you are ever in the Garden Route on a Saturday morning head to the Wild Oats Farmer’s Market outside Sedgefield! LOVE IT! And I even drew a little while everyone else was running. 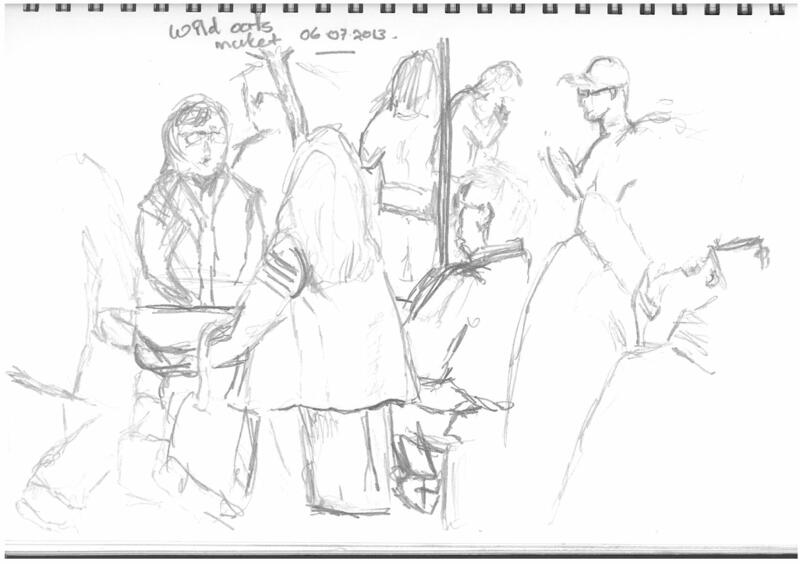 It was quite weird to sit and draw in a really crowded area. I have not done this in a while and at first was a bit nervous but soon blocked out all the people around me and just concentrated. At one point a man behind me did call over his kids to come and have a look but I was too scared to turn around and speak to them, so I just pretended I hear nothing…….. They where very respectful and quiet and I am not sure how long they were there. Once I concentrate on something I do tend to block out the world. 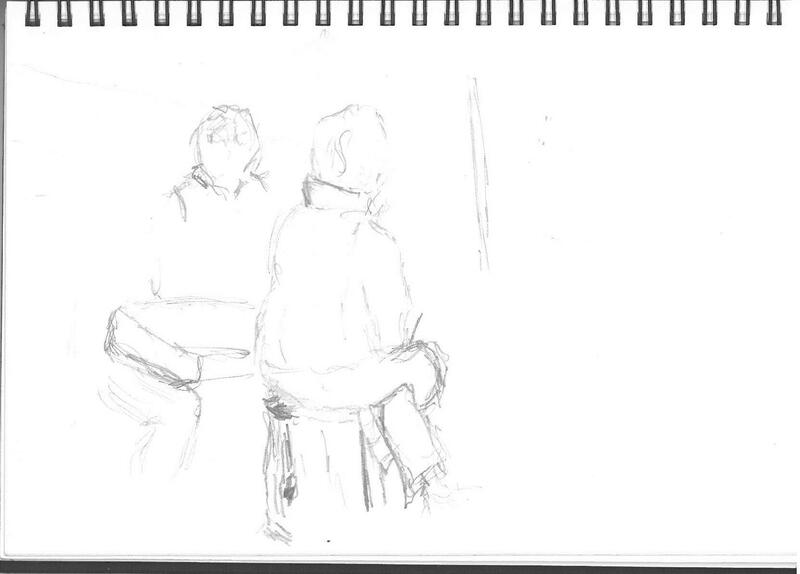 This I really needed to concentrate on as the people kept moving……. 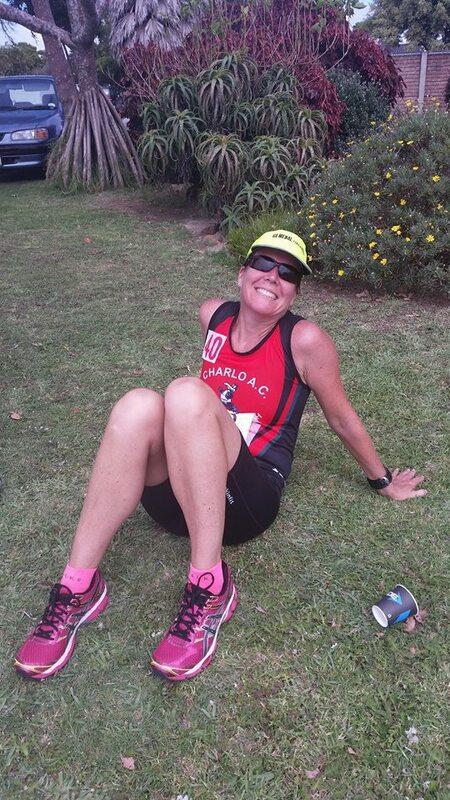 I might never run the Knysna Marathon again, this was so much fun… (just kidding) I did miss the fact that I was not running. Well okay I do but just for the weekend….. I seem to have gotten over my guilt about going away for the weekend – ALONE! And am now just extremely excited. Did I mention I am going ALONE? All by myself? Well, my mom, brother, sister, their respective partners, sister-in-law and a whole bunch of other friends are also going but we are not going together. It is the Knysna Oyster Festival and although I am not running I know quite a few people who are – and they are welcome to it. I have totally gotten over my disappointment at not being able to run and have decided to hit the art galleries, the quaint shops, the markets, the coffee shops and the oysters! All by myself! Did I mention I am going ALONE! To do all the stuff that I love to do, without any time constraints. Or quite possibly to do none of it. It is actually really sad how excited I am that I can spend time on my own. Just me, myself and I cruising around at my own pace, possibly taking a few photos, possibly sitting down and sketching, possibly spending an entire day in a coffee shop. Possibly not even leaving the guest house. Who knows….. I think I have previously mentioned that I traveled around the world, sometimes with company but most of the time on my own. I have no problem being on my own but it has been a while. So to that end, no I am not sharing a lift. I want my own car, to do things at my own pace. But at least I know that if I get bored (or horrified) at my own company I will have loads of friends and family very close. I just hope that they don’t get offended if I decide that I don’t want to see too much of them. I have also organised 3G for my tablet so will be able to Skype Little OL. I am not a fan of winter, however if it continues like this I might just change my mind. It was 30 degrees in PE on Monday. In fact I think I am going to change my mind anyway, regardless of the weather. My reason –trail running! I love trail running. I have done a few over the past couple of years, but really go into it last year. This year it is becoming a bit of an obsession! So much so that my sister and I have entered a multi stage event in November – I am really excited. It is the Fairview Dryland Traverse and is over 4 days, the first day being a 8km prologue with parts of it through the Cango Caves! How awesome. The next three days are each about 27km. VERY EXCITED! However after last week’s little 23km run I have realise I need a lot more training, on trails, it is very different to the roads. So I have tried to set up a schedule of events to keep myself going and excited. I won’t be able to do all of these, and some are more for fun that training but here goes. 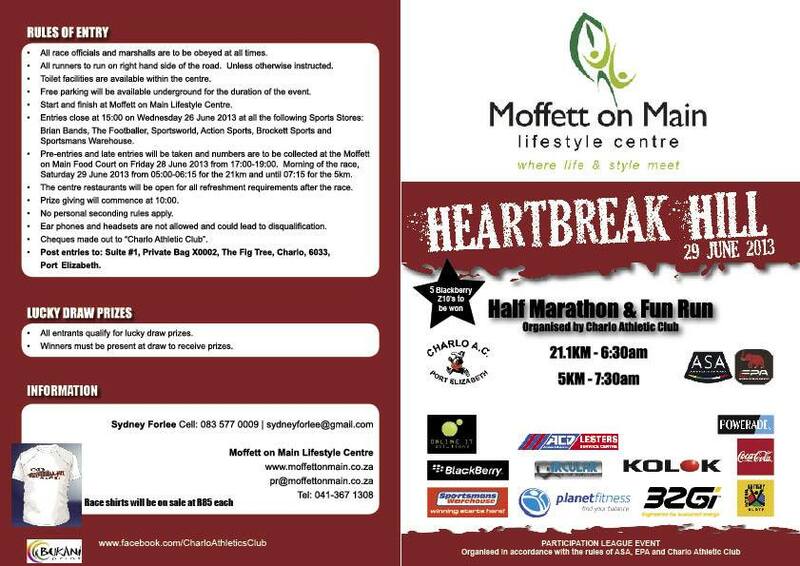 29 June – Heartbreak Hill 21.1km. Not a Trail Run but fun nonetheless. I do plan on doing this. 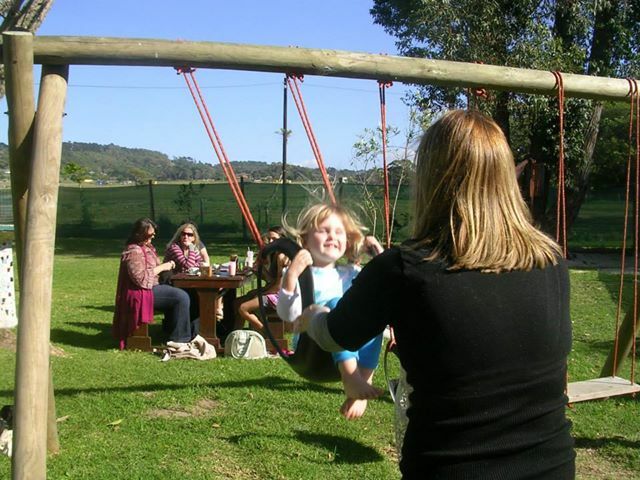 28 June to 7 July – KNYSNA OYSTER FESTIVAL. There are a whole LOAD of events to choose from (not all sporting, it is the Oyster Festival after all. 9 August – PROVISIONAL _ Details to be announced. There are talks about a 25km out at Cockscombe. Should be awesome, can’t wait to hear more. 14/15 September – Urban Run – entries open on 1st June. www.zports.co.za ENTER , ENTER, ENTER!!!! 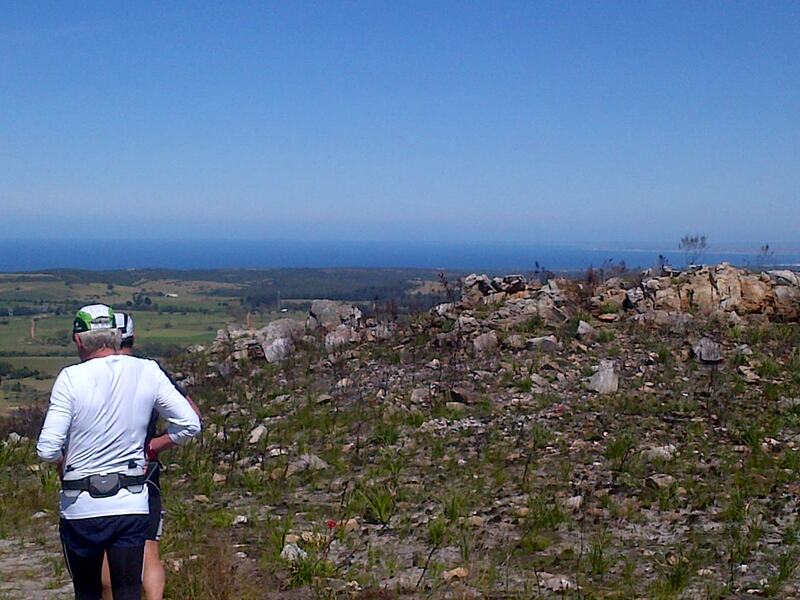 Although not a trail run it is one of my favourite events of the year! LOVE IT. HERE (2012) and HERE (2011) are blog posts about the previous 2 runs held. 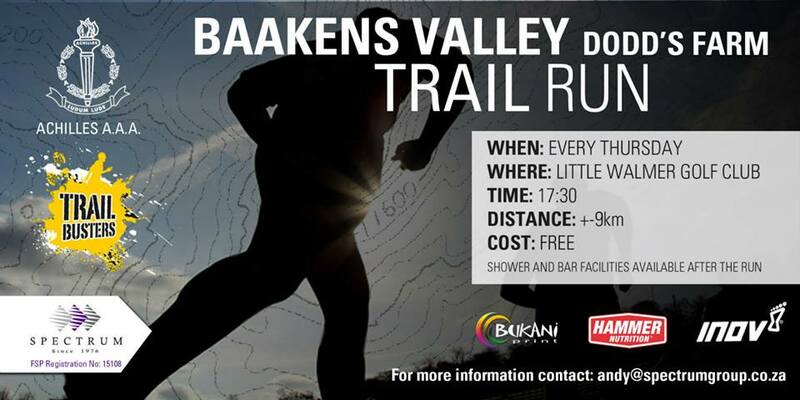 14 September – Baviaanskloof Trail Run – Entries are very limited and open soon. I will not be doing it, but would like to one year. 21/22 or 23/24 September – Otter Run SOLD OUT. I would like to do this one year, but have heard it is very tough and entries are limited. I have walked the Otter Trail a couple of times and it is an awesome part of the country. 7 – 10 November – The BIG ONE – at least for me! The FAIRVIEW DRYLAND TRAVERSE! Can’t wait. If I have left any out that you think I would like or that you would like to include in this list please just put it in the comments and I will add it. I also believe that there are training runs most Thursday nights, one held at Dodds Farm and one held at Hopewell Estate (run by the Charlo Running Club). I unfortunately have art classes on a Thursday night and so have never done these. So, PE people you can have no excuses not to get out there and see the surround areas. Some of these runs are actually right in the centre of the city. You will be amazed at the beauty we have here – we are very fortunate! #medalmonday If you are not taking part in an event and have no chance to earn a medal, what is the next best thing? Getting to hand them out to all the finishers. 🥇😀 Pamela helped out at the Nanaga Mountain Bike Race this weekend and got to hand out the medals to everyone that crossed the line. Loads of fun! Well done to everyone that took part and to Live Adventure on a great event. 📸Thanks to Richard Pearce Photography for the photo.